Indian Roller Industries is renowned for its dependability and steady engagement in the manufacturing and exporting of a distinguished range of Paper Industry Steel Roller. 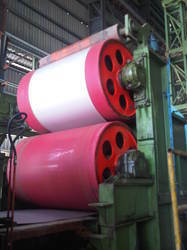 These rollers can be used to serve various functions in paper industries. 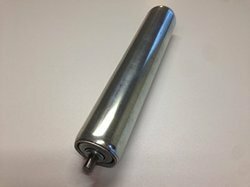 Moreover, these rollers have been developed with the use of certified, excellent quality raw material to ensure preeminent performance at exceptional market prices. In line with clients' variegated requirements, we bring forth a distinguished collection of Galvanized Steel Roller. These rollers are designed at our ultra-modern manufacturing unit using the superb quality material and progressive technology in conformance with defined quality standards. Being a quality-oriented organization, we assure our clients that these rollers are excellent on counts of performance and quality. 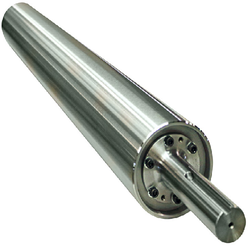 Our range of Stainless Steel Roller is used widely in different steel mills across India. These steel mill rollers are manufactured under strict quality guidelines to ensure maximum efficiency and unmatched quality. We offer a wide range of steel mill PU Rubber rollers. Our rollers are Having all kind of Acid Abrasion resistant. We can also custom design these steel mill rollers according to the specific requirements of our clients. Following are the salient features of our range. we undertake the following type of rubber PU Roll in different location. Looking for Steel Industries Rollers ?